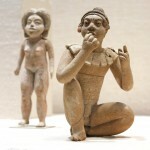 Formative period ‘Mezcala’ figurines from Mexico that are popular on the art market but have never been found in an archaeological excavation. 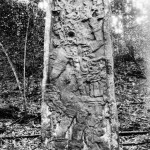 A Classic Maya site from which several archaeologically-recorded stelae were looted in the 1970s. Their whereabouts are unknown.